Home / Blog / What does the future hold for electric cars? The automotive industry is fast evolving and in a much advanced pace as anytime in the last couple of decades and there is an increased focus towards fuel economy and eco friendly technologies. Such endeavours would accelerate the adoption of electric cars provided there is a stark improvement in battery performance, charging infrastructure and advanced manufacturing. As of now there are over a score of varieties of electric cars and hybrid plug in vehicles in the market and another score of additional electric modelled vehicles are slated to be introduced in the market in the coming two years. Vehicle manufacturing honchos such as Mercedes and BMW have declared that they will offer various plug-in hybrid models in the next couple of years. Additionally, BMW and Nissan have declared to join forces to offer electric cars. The world’s best selling Electronic Vehicle by far, is still the Nissan Passenger leaf, a little commuting vehicle with more than 165,000 units sold until the time of it’s release in 2010. The reason for this vehicle’s popularity is the reliability of it’s batteries, which demonstrates a whopping 99.99% mark with 35,000 Leafs which were sold in Europe to be still operating in perfect conditions. The total global sales of Electric Vehicles and Hybrid Plug vehicles came up to 320,000 units in 2014 which demonstrated an 80% rate of growth and on track to easily surpass 500,000 in 2015. The sale for global vehicles is projected to reach approximately 89 million units in 2015 and if it is estimated that the global sale for Electric vehicles will reach 500,000, it would sum up to approximately 0.6% of the total global sale of vehicles in 2016. In the next 5 to 10 years, every car which is on sale will offer an EV variant or hybrid/plug-in hybrid and the adoption rate of these vehicles is to increase in leaps and bounds. Markets in India and China are likely to be largely involved than they are already. China which is a one of the major oil importing countries and is currently being afflicted by air pollution has been pushing for electric vehicles, offering incentives to the consumers, encouraging global automakers to share their skills and technology and opening it’s market to enterprises to manufacture electric vehicles. China has been propagating the electric vehicle as a mass market car and aiming to keep it’s enterprises at close competition with their global rivals. The government subsidies and the polluted skies of China are creating the perfect conditions for the advent and growth of the electric cars. In Beijing, local governments are offering free registration and insurance subsidies for electric cars. In the US, much of the electric car manufacturing is taking shape in Nevada. In June 2015, Tesla introduced a $5 billion battery plant in Sparks and soon, a Chinese start up enterprise, by the name of Faraday Future, chose a suburb in Las Vegas as an electric car manufacturing plant worth $1 billion. Also, numerous electric vehicle fast charging stations are being installed in New York, California, Pennsylvania, Florida and Nevada and aim to cover about 19 states in the country. The manufacturing industry has always been a challenge, with providing a lot of room for engineers and experts who can device methods on how to reduce the cost of manufacturing motor, batteries, computer and electric and power electronics which lie in the heart of the electric cars. The mode of communication also needs to be improved in the engineering sector. Having the ability to effectively communicate the advantages and disadvantages of a new idea or an expertise is a crucial skill numerous people are devoid of and it is imperative to market them along with the technology invented. Some of the benefits of using an electric car are as mentioned below. Reduction of emissions from sky high to nil which is a great relief to our ecosystem. Electric Vehicles do not need gas. Electricity is less costly than gasoline and therefore, using a hybrid vehicle would cut down gas bills to a large extent and fully electric cars like Nissan Leaf will eliminate the cost of gas as well as carbon footprints completely. Electric vehicles are less tedious as compared to the ones which run on gasoline are tedious to maintain. Consumers can be relieved from brake pad replacements and routine change oils. Warranty for electric cars last longer i.e. could reach upto 8 years for certain enterprises. Electric vehicles are quieter and therefore, do not contribute to noise pollution. Electric cars are more expensive than the regular fuel powered cars as a result, they become out of reach for numerous buyers. It is imperative to install a charging station at home as charging stations for electric vehicles are yet to pop up by the roadside. The cost for replacing the battery of electric cars can run up to thousands of dollars, although a battery is supposed to last for about a decade. 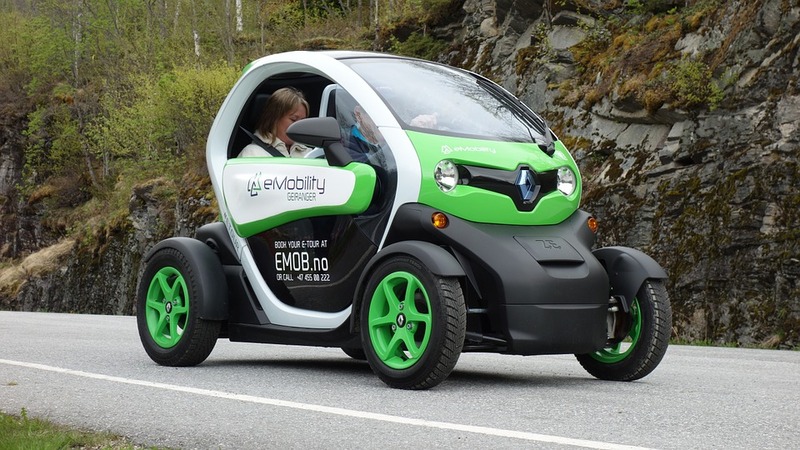 A fully charged electric vehicle can run for approximately 75 miles which seems to be ok however, it can pose a strict challenge on the days you have to additional errands or have not charged your car completely. Charging for electric cars takes about fifteen minutes, which can be perceived as time consuming as compared to the fuel gas stations where refuelling in done within a couple of minutes. With the growing need to strike an ecological balance amalgamated with the ever improving technology and expertise of the automobile engineers, the future of electric cars seem positive and bright and five years hence, can be more commonly seen on the roads, however specific energy and cost need to witness a breakthrough for this environment saving technology to see the light of the day across the globe. What insurance do I need as an Uber driver? How do I get my car out of the impound?